U249. 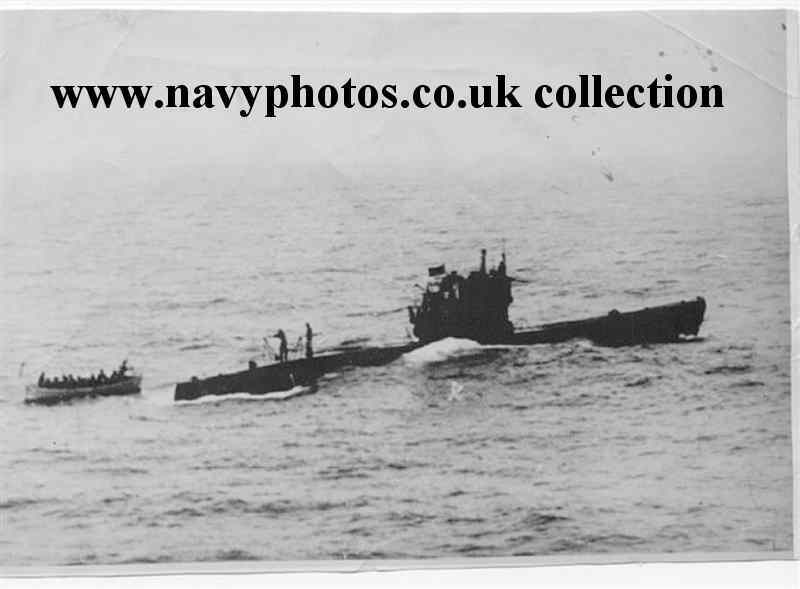 Surrendering to HMS Amethyst in 1945. U249 was 1st. 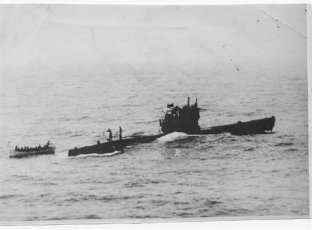 U-boat to surrender at wars end. Photo provided by Mr. Charlie Chivers. - See also HMS Amethyst in "Frigates, Type 12,15 etc." Return to "Index 22". - U-boats and Memorial, Laboe.